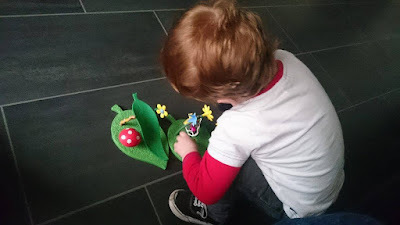 C has recently switched from watching kids TV shows without advertisements to those with. This mean that we are subjected to tons of toy adverts and subsequently, C wants every one. 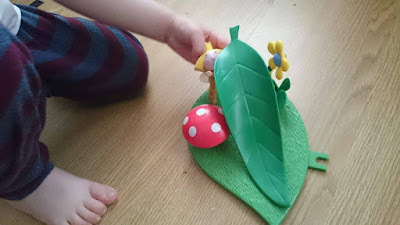 We recently saw the Ben & Holly playsets advertised so when we were offered the opportunity to try a couple out, I knew they'd go down well. We received the Ben & Holly Magical Playground Playset - Slide with Holly and Ben & Holly Magical Playground Playset - Swing with Holly from Character Options. As soon as they arrived, C spotted the "Ben & Holly" logo before I'd even got them out of the packaging and I could just see the excitement building up. When he got a proper look at them he told me, "Ben and Holly! I can't believe it!" I opened them for him straight away and he got playing. 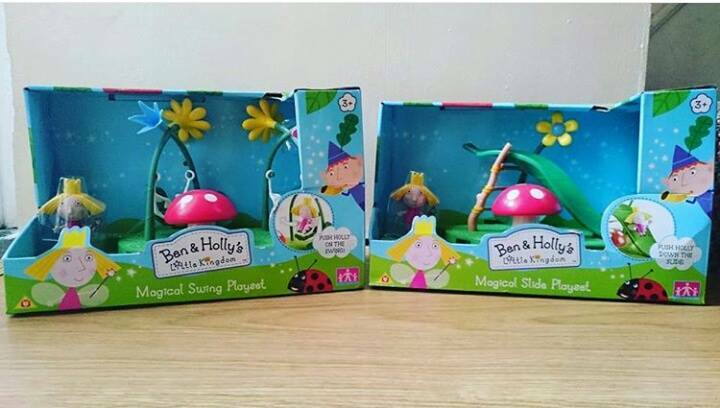 The sets are really sturdy and they come with either a Ben or Holly figure - both of ours had Holly. C really enjoyed pushing her down the slide and the swings of the second playset have little grooves to keep her in - she only fell out when C was a bit too vigorous with the pushing! I love how bright and colourful they are, it's like they've been lifted straight from the show. Even 18 month old E recognised what they were. Each piece of the set and Holly figures are the perfect size for little hands. 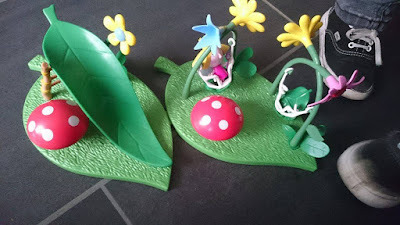 My favourite thing about the Ben and Holly playsets are that there are little clasps so that they join together. C has had so much fun with these that I definitely think we will buy additional sets and they can join up to make one big set! I would definitely recommend these sets to any Ben & Holly lovers. They are suitable for children aged 3+ and they retail at £9.99 each.